or 904 Petrified Tree Pass , Billings MT 59101-7231. Stephen D. Gulbrandson passed away on Feb. 4, 2013, in Billings. He was 70 years old. Born in California, Steve grew up in Minnesota and Montana, graduated from high school in Glendive MT in 1961 and from the University of Montana at Bozeman in 1965. 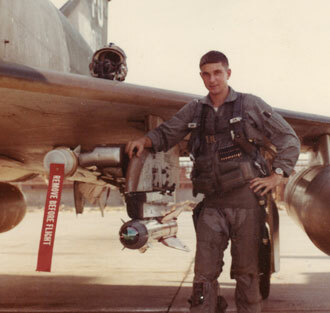 He received his Air Force pilot's wings in 1966. With the 435th Tactical Fighter Squadron, he flew the F-4 Phantom jet out of Ubon Thailand and completed 148 missions. He was awarded the Distinguished Flying Cross, the Air Medal with Oak Leaf Clusters, and the Purple Heart. Steve was a member of the Martin-Baker Ejection Tie Club. In June of 1969, he married Diane Knudson and they moved to Hill AFB Utah where Steve flew the B-57 Canberra. With the National Guard he flew the B-124 and the F-105 "Thud." Later, he joined the airlines, flying for North Central, then Republic, then Northwest Airlines, all out of Minneapolis/St.Paul, Minn.
After a medical retirement, he moved to Tucson Ariz., lived on a golf course, and golfed on a daily basis. Throughout his life he enjoyed being in and around water, either scuba diving, snorkeling, swimming or boating. In his adult life, he learned to ski, took up backpacking, played tennis and ping pong, fished, and flew personal aircraft, and he would say, "Let's go poke some holes in the sky." Steve traveled widely, was exceptionally knowledgeable about geography, world and military history, and was a constant reader. He was an interesting person to know and talk to and was well-known for his dry wit. He lived his life his way and it was a unique journey. In 2004, Steve moved to Billings, where he undertook remodeling, building and landscaping projects, which gave him much pleasure. Steve enjoyed his friends at Fleming Field in South St Paul, Minn., where he often went "hangar flying." He and his fellow airplane lessees allowed everyone to get in some air time. Steve appreciated all of his friends. The daily "breakfast club" in Tucson was a staple in his life for several years; thank you for starting the days with great conversations. And to all the golfers in Tucson, Steve would wish you well at the 19th hole. To all his friends and family who have followed him on this journey, thank you for your support, well-wishes, and prayers. Also, thanks to Best Friends Animal Hospital for caring for pets the last two weeks. Survivors include his wife, Diane; sisters Stephanie Zimmer and Jane Lexen; brothers James Shaw and William Shaw; brother-in-law David (Barbara) Knudson; sister-in-law Janet (Robert) Brackey; and numerous nieces and nephews and their children. He was predeceased by his mother, Marjorie; his biological father, Howard Shaw; and his adoptive father, Leslie C. Gulbrandson. 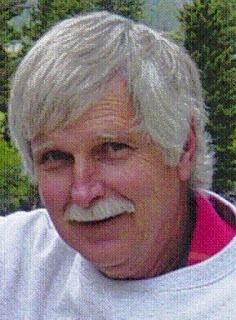 A memorial service will be held at a later date in Billings MT. The family is grateful for the care and treatment received from the doctors, nurses and staff at the Billings Cancer Center, Clinic, hospital, and the RiverStone Hospice staff. Memorials may be made to the Billings Clinic Foundation, P.O. Box 31031, 2917 10th Ave. N., Billings, MT 59107-9945; or to RiverStone Health Hospice Services at 123 S. 27th St., Billings, MT 59101; or to an organization of your choice.